The Jane Pickens Theater and Event Center & Newport’s Memorial Funeral Home present the annual screening of Elf as a food drive to benefit the vitally important local non-profit Martin Luther King Center in Newport. 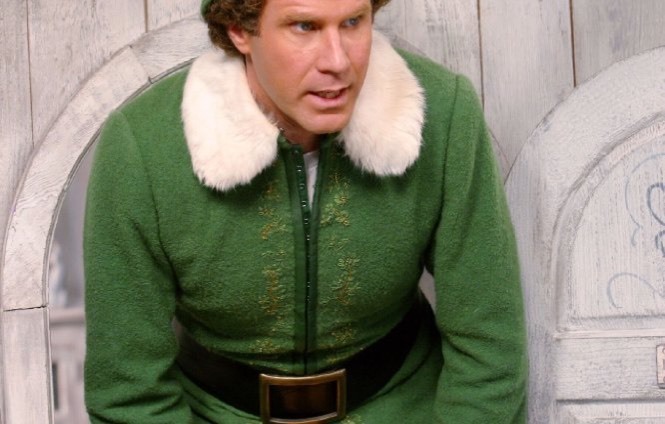 On Sunday December 9th at 1 p.m at The JPT, 49 Touro Street, Newport the now-classic holiday film elf- starring a hilarious Will Ferrell alongside Hollywood movie royalty James Caan. Elf has in recent years reached the status of not-to-be-missed Christmastime film. Directed by Jon Favreau (who also shares co-writer credit), elf is the touching and side-splitting story of a north pole toymaker who sets off to the Big Apple in search of his father. This community event will benefit the MLK Community Center- which now in their 95th year of operation counts among their many missions and programs hunger services for local families in need of assistance, especially around the holidays. The 501(c)(3) also runs a daily breakfast program, a food pantry and a monthly food delivery program called Food 2 Friends. They are a vital organization to Newport County. The only price of admission is a canned good (as much as you'd like to give). All donations will benefit local citizens. Costumes encouraged! We will give a prize for a $20 gift card to The JPT to Best Dressed Adult and another for Best Dressed Kid Under 12. Family and friends, young and old are invited to experience a film that truly entertains across generations. There is something for all in this magical story, as there should be plentiful food for all who are hungry. The Jane Pickens Theater and Event Center encourages those attending to arrive early for the solo afternoon showing which has become ever more popular as the event gains notice. Here's to laughter and cheer and helping our neighbors while we do it!